@FreeThinker: Care to explain this thing I found when debugging a user's install containing IFS? Care to explain to me why you're patching common library resources in this also common library mod? Some of these changes will break mods! DepletedFuel density change will break NFT, ElectricCharge cost change will break all batteries' costs. I don't know why the density of DepletedFuel is modified, it appears to be a (merge) mistake. There is no reason to keep it. I will remove it ASAP. The unit cost of Electric charge falls outside the scope of CRP. I have given a small cost to ElectricCharge because it can can be converted into MegaJoules which allows you to generate other resources which are not free. I have given a small cost to ElectricCharge because it can can be converted into MegaJoules which allows you to generate other resources which are not free. Whilst this is probably true of the interstellar mod? there are/were quite a few mods which bundled IFS to use its clever resource switching capability, but they were not trying to buy into having the previously free resource of ElectricCharge suddenly cost. In my previous games I would have IFS for the very purpose of resource switching, but only IFS as I was playing some fairly basic games with a little Life Support thrown in. Adding ElectricCharge costs to users would greatly impact their gameplay. I would suggest that this particular part of the patch should remain in the main Interstellar mod rather than IFS? This is kinda up for debate, given it breaks stuff (and whether it even makes sense is an entirely different discussion). I expect there are other ways of solving whatever problem it is you're looking to solve, without introducing a breaking change to one of the most basic resources in the game. And I agree with @steedcrugeon - this seems a weird place to put such a sweeping change. Well, I think the term "breaking stuff" is too strong in this case. Most of the time, you will not notice anything as the cost of a full battery will be the same as before, only if you modify the battery content in the VAB or return back to KTC you might notice it value is slightly reduced. I expect there are other ways of solving whatever problem it is you're looking to solve, without introducing a breaking change to one of the most basic resources in the game. And I agree with @steedcrugeon - this seems a weird place to put such a sweeping change. Screwing with stock resources is kinda a jerk move. Especially when someone who has a very large and popular mod catalog like Nertea says 'Hey - you're breaking stuff'. Plus, ridiculously exploitable so it is also a bad design. I'm not opposed to bad design... it is how people learn. I am only opposed to bad design when it messes with other people. I'd seriously reconsider this. I mean, it is your mod and all... but there are ways of handling breaking mods, and I'd rather we not head down that path. Plus, ridiculously exploitable so it is also a bad design. Build ship out of empty batteries and solar panels, launch, wait, recover, profit. So you can build a solar farm. Given the low value of electric charge, That would be a cheesy way to make a tiny amount of credits. Essentially what you do it trade time into credits. The same happens if you start mining for resources anywhere. In my view, the real problem is that stock KSP gives you back the same value as bought it. In the real world, this never happens. A possible solution would introduce a part module which would decrease the value of a part after being bough. and it would reduce in value after being used longer. This is indeed a good idea and planned something similar for KSPI reactors which despite getting radiated, still sold for the same value as you bought, which is insane. You may have a point. *Here* isn't the place to demonstrate or argue for that point. 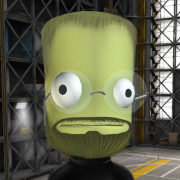 KSP-I or a new mod would be the right place. I would tend to agree with the sentiment of others. For a mod that deals with tank switching, it seems out of scope to have resource tweaks here. Although it might have started as a pure fuel switching mod it much more than that. It is slowly growing into something that might be described as a Storage Solution Mod. Perhaps it an idea to split it up into a pure Switch mod, which would be free of any MM script or balance tweaks and separate Interstellar Storage Module for KSPIE. Although might have started as a pure fuel switching mod it much more than that. It is slowly growing into something that might be described as a Storage Solution Mod. Perhaps it an idea to split it up into a pure Switch mod, which would be free of any MM script or balance tweaks and separate Interstellar Storage Module for KSPIE. Yes I guess based at least off of the description in the OP there is nothing that suggests it does or should have any balance tweaks. If these balance tweaks etc are primarily for your KSPIE, just out of curiousity why not have those MM scripts and balance tweaks in that mod? If these balance tweaks etc are primarily for your KSPIE, just out of curiousity why not have those MM scripts and balance tweaks in that mod? Actually, the reason they are defined in IFS is that they are required to make them function correctly. For instance, the cost of electric charged is used by the Super Capacitator to automatically convert between ElectricCharge and Megajoules. If I move this modification to KSPI, this part would no longer function. Would an 'AFTER' or 'BEFORE' statement in the MM patch help? It seems like the type of thing those are for. ...And you are changing the cost of Megajoules... which is CRP, and a huge no-no. So seems there's quite the mess here to clean up. Really? Because if i wanted to use IFS for mesh and fuel switching in my own mod and i followed the current instructions within the OP i'd most certainly have have all those resource definitions included as they are within the InterstellarFuelSwitch folder that you state should be included. Where is this core version you mention? @RoverDude Alright, alright, obviously I'm alone in this, I will remove all cost from ElectricCharge and MegaJoule and use an alternative solution. the core version of IFS is basically only the plugin Folder of IFS, nothing more. @FreeThinker Based on what you've said here, IMO you should have two different threads with two different mods, or at least clarify your OP. When I used IFS ages ago, it was just a drop-in, better maintained version of FS's fuel switch parts and seems to have grown rather hugely since then. Maybe call it "Interstellar Fuel Management" or something, because it's quite a different scope than the original. Basically I'm trying to add oxidizer back in in order for the LFO option to include both liquid fuel and oxidizer, which is accomplished in the LFO compat file by adding the OX variable, which the resourceAmounts line then reads from. However, I have no idea how to set up this patch to add in oxidizer. I thought about setting the OX variable to use the liquid fuel as a base (i.e. change it so it reads +OX = #$RESOURCE[LiquidFuel]/maxAmount$, however the totalCap line needs oxidizer to read from as well. Can anyone help me with this patch so I can finally get my Apollo 11 mission underway? I'd greatly appreciate it! My only other option as far as I know is to remove IFS and if that goes, then does KSPi (WarpPlugin). The other option I was thinking of going with is omitting BDB parts outright by changing the @PART[*] line to include @PART[!*bluedog,!*Bluedog]. That way it will only use B9PartSwitch as opposed to IFS. Thanks for your time and any help will be greatly appreciated. This gives you a tank filled with LF and Oxidizer, but they are at a 1:1 ratio, so the levels have to be manually changed in order to drain properly, but it works for the time being. Hi @FreeThinker I'm looking to troubleshoot a parts cfg file with regards to an error that FS is giving regarding the part. I've check the field meaning in the OP and am hoping you might be able to point me in the right direction to self troubleshoot. The error is "FSFuelSwitch Mass Discrepancy detected in part xxxx". Is it as simple as a mismatch between the PART module 'mass' figure and the 'basePartmass' figure in the FSfuelSwitch module? Is the rules that the part mass HAS to be greater or equal to the FSbase mass? Is it as simple as a mismatch between the PART module 'mass' figure and the 'basePartmass' figure in the FSfuelSwitch module?